New Zealand international Julian Savea has announced that he will remain with his Super Rugby club Hurricanes as he bids to make a comeback into the All Blacks squad. The out-clause in Savea's contract provided an option for him to change the Super Rugby franchise in the middle of his four-year contract with New Zealand Rugby. It is reported that the Chiefs were interested in obtaining the service of Savea but the 6 ft 4 in wing decided to remain with Hurricanes. He has made over 100 appearances and has amassed more than 200 points for the club since joining in 2011. However, the 27-year-old has been enduring a tough year as he was left out of the Rugby Championship New Zealand squad and was also benched for Hurricanes' semi-final clash against Lions in Johannesburg last season. 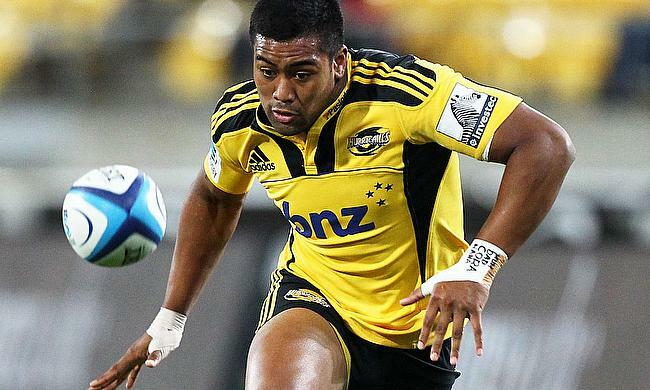 “I’ve decided to stay with the Hurricanes,” Savea told the NZ Herald. “With everything that’s been going on over the past year I know in my heart that’s the best place to get my rugby back. “Whatever I need to do to get my spot back I will and I’m excited by that challenge. “I weighed up everything. I know in my heart this is home. There’s family and we’re just about to have a kid. Regardless if I did decide to go anywhere I still needed to perform well." Savea also admitted that he was weighing up the option with Chiefs especially with the departure of James Lowe to Leinster. “When you have that option it definitely is tempting. I put a lot of things on the table. There was only one other franchise I was looking at. I know if any team is going to help me get back to the best it is the Hurricanes,” he said. Savea, who last played for All Blacks during the third and deciding Test against British and Irish Lions in Auckland that ended in a 15-15 draw also highlighted the areas that need improvement. He also requested his provincial side to allow him to return to the right wing - the position he started his career with. “It was to get my head space right, which I think I’ve done. A lot of the young boys are getting faster and you’ve got to keep up with their speed on the outside. At the moment I’m enjoying the challenge.